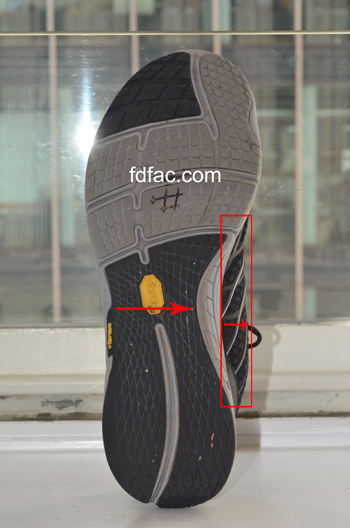 This entry was posted in Foot Pain, Shoe Fit, Sport Specific Shoes, Wide Feet and tagged foot mechanics, health, ultrarunner. Bookmark the permalink. Thank you so much for posting this! I sell running shoes and I’m constantly reminding my (overpronating) customers who want to ‘go minimal’ that they can’t immediately jump from a structured shoe to a minimal shoe without risking injury. Some customers listen; most don’t. Can an overpronating runner ever go minimal? Absolutely. It all depends on how excessive of a pronator you are, and whether or not you have experienced injury because of over-pronation. I evaluate all of my runners both with and without shoes while treadmill running, to determine whether minimalist shoe running is an option or not. If someone looks fine running in minimalist shoes and they want to continue running this way, then I won’t object. If however, someone looks worse running in minimalist shoes (more pronation/poorer shock absorption) than in non-minimalist shoes, I strongly recommend the latter. At the end of the day (for me) – it’s about rehabilitation and injury prevention, with an emphasis on injury prevention. Thanks for your question! 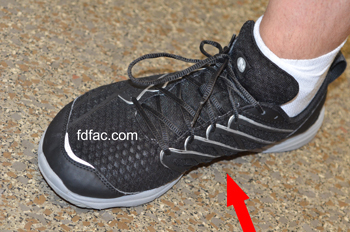 Check out my article “What Shoe Companies Don’t Want You To Know” that is on the same subject.